Another day, another bizarre trend heading for our brows thanks to a talented Instagram make-up artist - meet squiggle brows. Reminiscent of our GCSE-art days, this whimsical design is guaranteed to puzzle your friends and frenemies 'cos there ain't no way your expression can be read when you're rocking this kooky look. With the means to go from bronde to balayage using just a set of foils, you may have once thought the hair on your head was the best way to experiment with a new look, but friends, 2017's obsession with using our eyebrows as an art canvas has definitely told us otherwise. Case in point: squiggle brows. But while we kind of digged the dragon and barbed wire brow designs, I'm going to come out and say I reckon this whimsical design should be filed alongside the breadcrumbed (gulp) variety in 'barmy brow trends'. 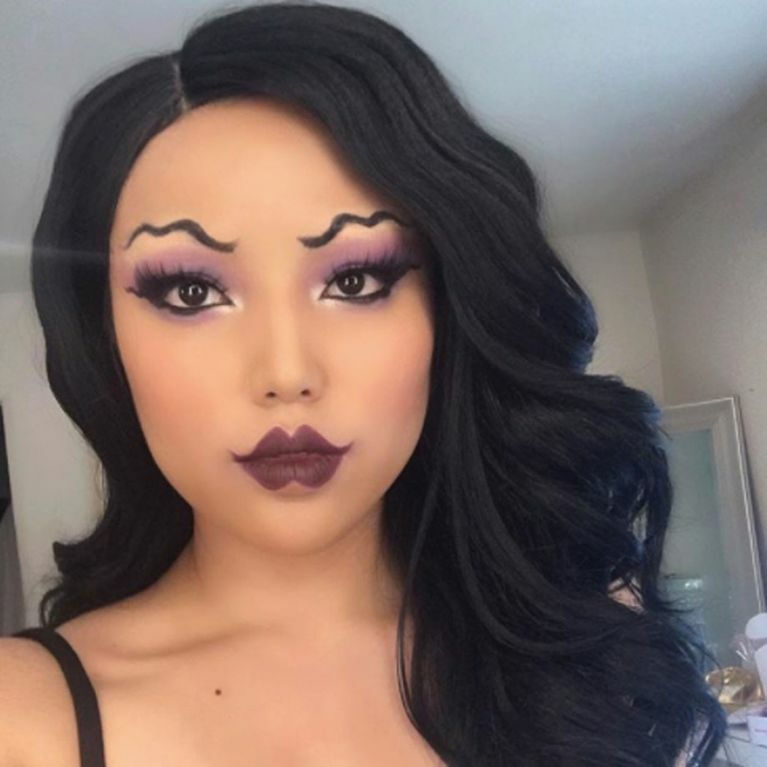 The invention of so-called 'squiggle brows' is all thanks to Instagram star Promise Tamang who dubs herself 'the human chameleon' for her enviable ability to switch up her look through the power of make-up. Speaking to Popsugar, the make-up artist revealed this look was bought to life using washable PVA Glue to 'flatten her brow hair all in one direction' before covering the area with a heavy-duty concealer to hide all the hair. Next, she repeated that step with 'setting and pressed powders to fully erase any hint of her real brows'. To expertly draw the wavy lines in place of her brows, Promise applied the playful design with a black gel liner that had been mixed with brow pomade. BUT before you head out to raid your local craft shop for their entire stock of PVA glue, might I suggest leaving that one to the professionals and finding a similar alternative to recreate it at home - call me cautious, but there's just something about glue and eyebrows in the same sentence that doesn't sit well with with this former tweezing addict.